Every Healthy is Hot reader knows there’s no better mood booster than exercise. Dancing specifically has been proven to not only be a healthy way to get your sweat on but can also boost memory and brain function and strengthen your bones. So why not get your groove on more often? In Toronto, there are so many schools and styles of dances being taught and practiced from mainstream to cultural dances with origins from around the world. Hula, a worldwide symbol for Hawaiian culture is one of them. It is an art form of storytelling from Ancient Hawaii used as a way to preserve Hawaiian history, mythology and culture – every step, hand gesture, sway of the hips, chant and song are full of meaning to communicate and connect. 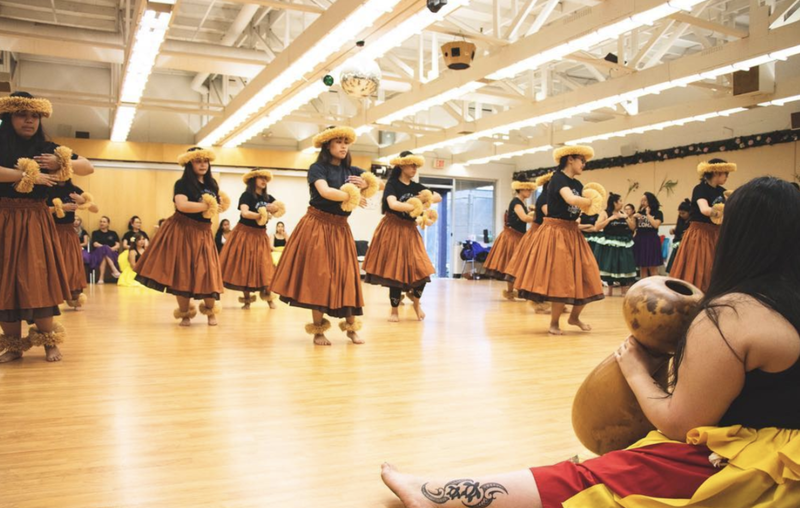 I recently signed up for classes with Spirit of Aloha, a dance school that incorporates Hawaiian history, culture and language through Hula. I have never taken dance lessons in my life apart from one or two Beyoncé-inspired classes but have always loved to move. I have also been fortunate enough to visit Maui, Hawaii a few years ago with my family and fell in love watching the beautiful movements of Hula live – I thought what better way to move and learn something new? Nearly three months into my first venture into Hula and it has truly become the highlight of my week – and quite the lower body workout. With the days getting colder, Hula also offers a quick escape to island vibes and warmer state of mind. A few things Hula has helped me with so far, which I hope may inspire you to try a class or learn more about it. Posture – Hula uses movements and gestures of the entire body to tell a story and while there is tremendous focus on the hips and lower body, posture is extremely important. As I’ve dealt with scoliosis my entire life, I find the classes help me be more conscious of my posture even after the lesson. Go with the flow – Taking on anything new will present its challenges, especially if it involves some sort of physical coordination. Hula is unlike any other workout or class I’ve done before and while not being able to nail a move or two starts as frustrating, I’m reminded by my new classmates and kind instructors that this is a journey (a truly fun and rewarding one at that). Think warm thoughts – I’m not just talking about island vacay dreaming, I mean a warmer, kinder, positive mindset. It’s easy to get trapped in the stresses this time of the year can cause, it’s especially easy to become moody and want to hibernate and plant ourselves in front of Netflix with these colder, darker days. Why not take a day or night to reconnect, whether this means trying a meditation at home, attending a hot yoga class, starting a gratitude journal, having friends over for a board game night, sending a note to someone you haven’t reached out to in a while, or even trying out a new dance class – we don’t have to let the winter blues get the best of us.